Currenty this mod is on hold as I don't really have much time to develop it... You can see the latest release on the downloads section. Don't worry guys, im the builder of the mod and we will continue working on the mod on summer, I got some cool builds already like luffys village where you will start, a black market and a sunked ship where you can find df. Interesting, a new OP-Craft Mod. How did you get the Open Source? I have written the code from scratch by myself! I didn't use any from the old mod. There is much more stuff that could be combined with this to make it be like real OP. I actually have a 1.12.2 version ready but I didn't release it because maintaining 2 version of a mod at the same time is difficult and annoying. When I release some more 1.10.2 updates, I will update to 1.12.2. Ahhh i see, is it maybe possible that you could like.. Send it just to me? OK, I posted the 1.12.2 version. Check the post description. 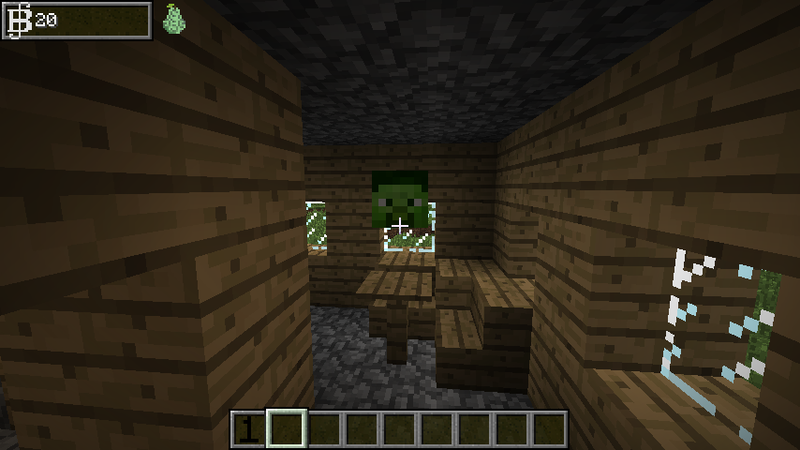 Hey man im super glad with the 1.12.2 version. I would recommend getting in contact with the AV2 team (Avatar Mod 2: Out of the Iceberg) they got a skill tree and did a nice job in coding their mod. Maybe you could take over some stuff. And idk if its on accident or intented that marine's are undead. A discord server would be nice too. Hi, I love this mod, but I just want to mess around with the abilities on my single-player world. Is there a way to remove the cooldowns of the abilities so I can spam them? I don't mean to disrespect the mod in any way but I'd like to do random stuff without waiting for the cooldown. thanks! You can edit the config file located at the <Minecraft Installation Folder>/config/onepiececraft.cfg Open it with wordpad or any other text editor and change this line "I:cooldownSpeedMultiplier=20" to "I:cooldownSpeedMultiplier=5". It will make the cooldown time less. You can also use the powers in Creative mode where the cooldown time is minimal. Thank you for sharing your question! I hope this helped! Currently you can only take the heart of other Players. To do so you create the room (using the ope ope no mi power) and then you right click the player while holding the Law's Sword(Kikoku). No, it's not for the moment. I would like to implement it though..
Hey, big fan of the mod! Just wondering how often are updates going to be coming out. Also, i know in the mine mine no mi mod they had spawned ships, do you guys think this could be a way to get devil fruits in this mod? Thank you! Updates do not have a specific interval as I am not actively working on them. I already have ships spawning in my To-Do list but I need to find some ship models. Each time I go to play minecraft with the mod with the right minecraft forge it just crashes immediately.